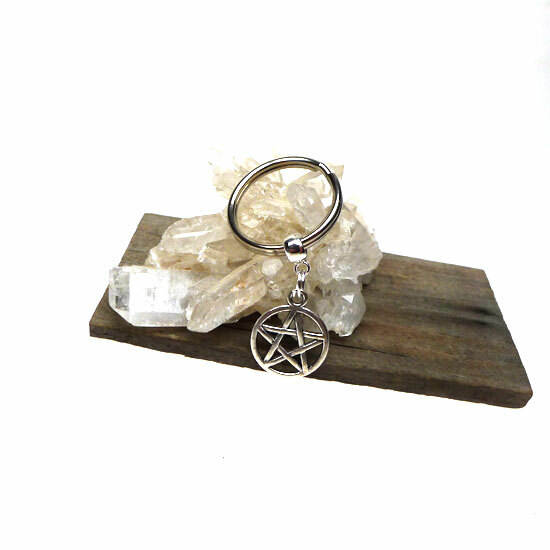 This silver Pentacle Keychain is made of Zinc Alloy with a finish resembling antiqued sterling silver which is lead and nickel-free. The Key Ring is the classic metal split ring and measures 1 inch or 25mm. 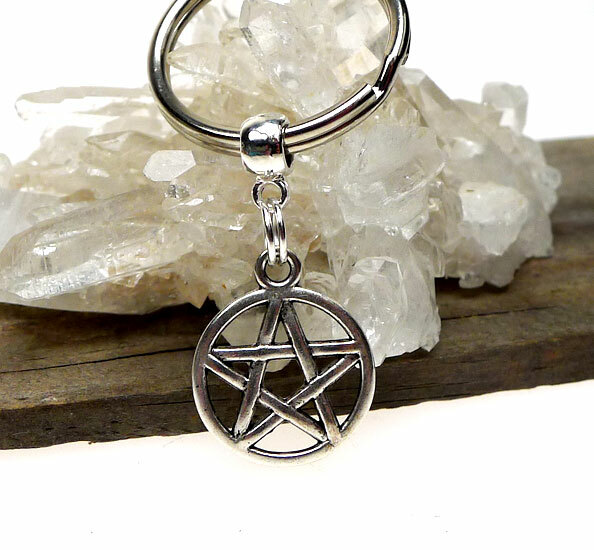 Overall Key Chain Length, approx : 52.5mm - 2"
Traditionally, the Pentacle symbolizes the Elements of Air, Earth, Fire, Water, and Spirit - as well as the directions East, South, West, North, and Within. The continuous line that forms the star (pentagram) speaks to the interconnectedness of all things Divine and Earthly, and reminds us to strive toward Balance with all we encounter. The circle that frequently appears around the pentagram (star) is symbolic of unity, wholeness, the quest for Divine Knowledge, and the Never-ending cycle of Birth, Death, and Rebirth.